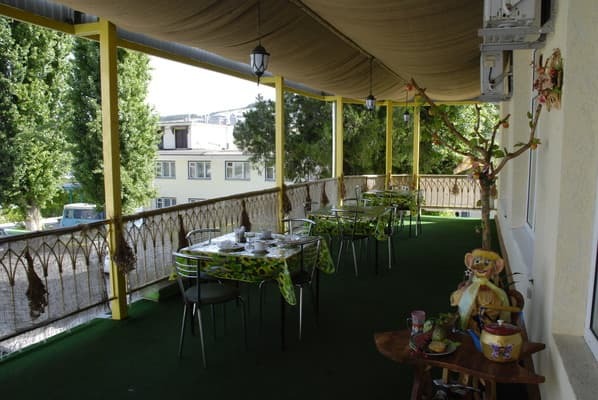 The tourist complex "Prival" is surrounded by a relic juniper grove, next to the historical part of the city of Bakhchisarai, 800 meters from the famous Khan Palace. 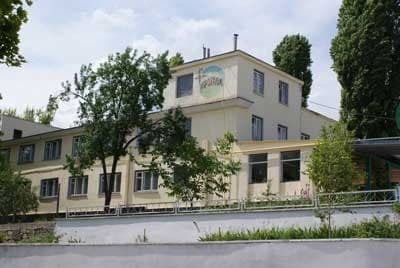 The hotel consists of 80 rooms of class "Economy", "Standard", "Standard Superior" and "Cottage". At the same time, the recreation center can accommodate up to 250 guests. In economy class rooms, common facilities are on the floor. 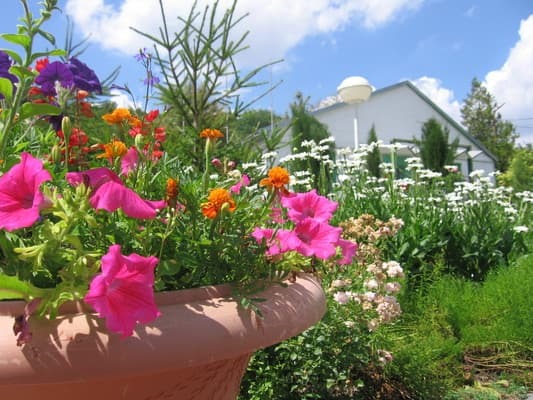 The hotel "Prival" offers year-round therapeutic and health-improving rest, the organization of excursion, festive tours, presentations, seminars, trainings, business meetings, corporate events, children and youth holidays. Meals are served in the dining room, cafe-bar "Bistro" or in the restaurant "Fireplace Room". There is a possibility to book a transfer. Distance to the railway station Simferopol - 35.7 km. PRICES MAY CHANGE, IT IS REQUIRED TO RECEIVE INFORMATION FROM THE OPERATOR. Description of the room: 3-, 4-bed rooms with a common open veranda, conveniences for a small house (4-5 rooms in a small house). Single or bunk beds, wardrobe, bedside tables, chairs. A bathroom on the block (toilets, a common washbasin). 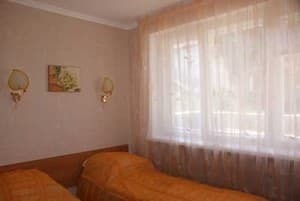 Description of the room: 4-, 5-bed rooms are located in the building № 2, the common open veranda, conveniences on the block (4-5 numbers in the block). 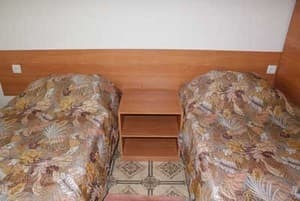 Beds single or 2-tiered, wardrobe, table, stools, bedside tables. Hall (table, chairs, mirror). Bathroom on the block. Description of the room: Rooms in the 1-m building, amenities on the floor. Beds single or bunk, bedside tables, table, chairs, wardrobe. A bathroom is on the floor. 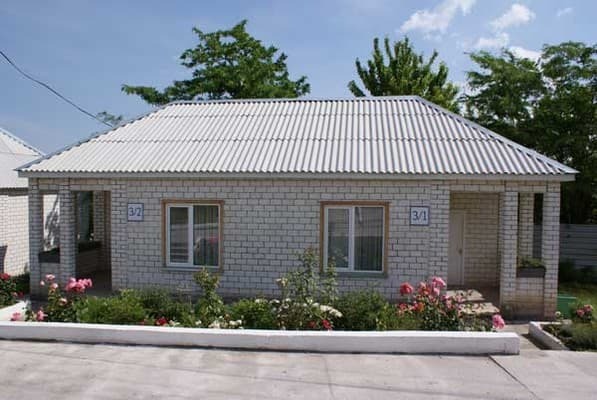 Description of the room: Rooms in the 1st building with partial conveniences (2-, 3-, 4-bed). Beds single or bunk, bedside tables, table, chairs, wardrobe, mirror, washbasin. A bathroom is on the floor. 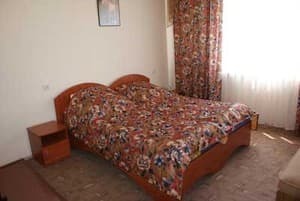 Description of the room: The room is designed for 2 or 3-bed accommodation. 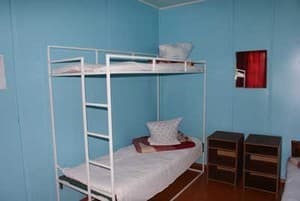 In the bedroom - 2 or 3 single beds (1 single and bunk bed), bedside tables, TV, mirror. In the hallway there is a closet-vestibule. The rooms are located in the 1st building. Description of the room: In the bedroom - double bed + single (extra bed), bedside tables, TV, mirror. The closet-vestibule. A bathroom. The rooms are located in Building 1. 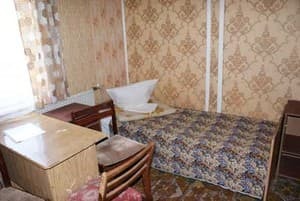 Description of the room: № 2/1 - a double bed, 2 bedside tables, dressing table, pouf, TV, phone. № 2/2 - 2 single beds, a sofa bed, a coffee table, bedside tables. 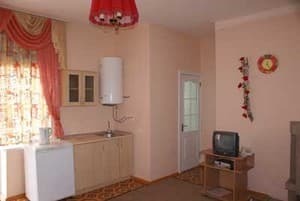 Hall-vestibule: sink, cupboard, table, 3 chairs, refrigerator. № 6 / 1,6 / 2,6 / 3,6 / 4 - 2 single beds, bedside table, dressing table, wardrobe, hanger, table, 2 chairs. Description of the room: No. 3/1, 3/2, 4/1, 4/2. In the bedroom - two single beds, 2 bedside tables, dressing table. Hall-hall: cupboard, refrigerator, table, 2 chairs, a hanger. № 7, 8. In the bedroom - a double bed, 2 bedside tables, dressing table, mirror, TV. Entrance hall: a sink, a cupboard, a refrigerator, a round table, 3 chairs, a hanger, an electric kettle. Description of the room: Living room: fireplace, coffee table, 2 armchairs, sofa, TV, phone. Bedroom: double bed, two bedside tables, mirror with shelf, pouf, wardrobe. Entrance hall: sink, cupboard, refrigerator, hanger, electric kettle. In room number 1/1 in the hallway there is additionally a round table and 3 chairs. Bathroom: bath, bidet, washbasin, toilet. 1. Holidaymakers with children under 3 years old are accepted only by written agreement with the hotel administration. 2. Children under the age of 18 are admitted only accompanied by parents, adult family members or team leaders with a power of attorney. 3. Children under 5 years stay free of charge in the room with parents (no meals). 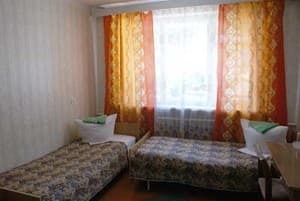 In most rooms there is the possibility of providing additional seats, the cost is 50-100 UAH depending on the category of the room. 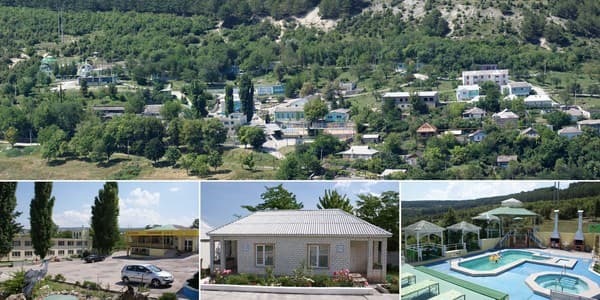 Tourist and health center "Prival" is located in the old part of the city of Bakhchisaray, in the mountain forest zone, 800 meters from the famous Khan Palace. On the territory of the tourist and health-improving complex "Prival" is the EUROPEAN CENTER FOR REHABILITATION OF HEALTH. Treatment based on the application of physiotherapy procedures of classical ancient traditional oriental medicine, and modern methods of German medicine, combined with the latest developments of specialists from Germany and Korea. Treatment of the musculoskeletal system (especially the back and spine), 5 main organs (heart, liver, kidneys, stomach, intestines), central nervous system, male and female genital organs, immune system, pressure and diabetes, lung and upper respiratory tract, post-stroke and post-infarction states (treatment inpatient or outpatient, available for any category of citizens). From the railway station of the city of Simferopol by trolleybus No. 5 to the bus station "Zapadnaya", then by bus Simferopol-Bakhchisaray or by shuttle. From the railway station in Simferopol by train to the railway station in Bakhchisaray. From the airport of Simferopol by trolleybus No. 9 to the railway station of Simferopol, then on route No. 1. From the railway station of Bakhchisaray by bus to the Khan's Palace, then follow the directions. A shuttle service is available.